These past few days have seen a spate of The Dark Knight Rises casting rumours. At first, there was news from Collider.com suggesting that Eva Green has been cast to play the role of the movie’s female villain, Ra’s al Ghul’s daughter Talia al Ghul. It was also revealed that Naomi Watts may have been selected to play the part of Bruce Wayne’s new love interest, Vicki Vale. It was not much later that Hollywoodreporter.com released details of an apparent list of actresses testing for the two female leads. Keira Knightley, Anne Hathaway, Jessica Biel, Kate Mara, Charlotte Riley and Gemma Arterton were all said to be on the latest list. This is to go along with the list a few months back that named Natalie Portman, Rachel Weisz, Blake Lively and the afore-mentioned Knightley, Hathaway and Watts. Pretty much every successful, well known actress working in Hollywood has been linked in some way to The Dark Knight Rises. Is it the rumour mongers that lack imagination, or the casting agents themselves? 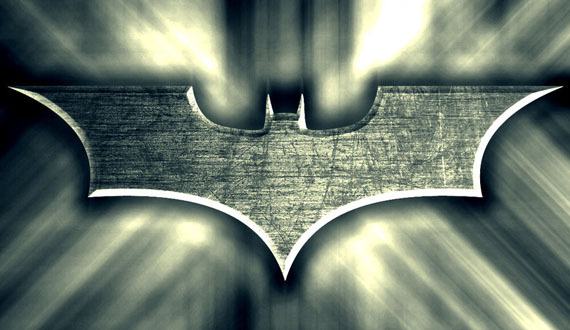 These are not the first casting rumours regarding Batman 3 of course. Soon after the release of The Dark Knight, its huge financial success meant that ‘news’ stories regarding the next installment were everywhere. Just weeks after it opened, there were rumours that Batman’s producers had singled out Johnny Depp and Philip Seymour Hoffman as the stars they wanted for the third movie, as villains The Riddler and The Penguin respectively. Considering how paramount great casting has been to the quality of Nolan’s work, it was impossible to imagine him ever again letting a studio dictate his casting, particularly for main roles. It was shortly after this that Angelina Jolie was being named for Catwoman. This before director or studio had even acknowledged the potential of a third film being developed. The rumours have continued since, with a parade of characters being named, and The Riddler seemingly being the most popular. Actors have been mooted with just as much regularity, again a favourite emerged, with Johnny Depp being the one most frequently referred to. More recently, we’d heard that Joseph Gordon-Levitt was being primed to take on the part of The Riddler, based on as little as a supposed conversation on the set of Inception between Levitt and director Christopher Nolan. In fact, when Inception was imminent, we were treated to a variety of casting rumours linking actors from Chris Nolan’s dreamscape masterpiece with the then untitled Batman 3. Ironically, i don’t recall a Tom Hardy story breaking at the time, and as it turned out he was the one actor who would bag a part in the final Nolan-directed Batman installment. We have also since learned that The Riddler will not be present in the movie. It’s not for me to comment on the accuracy of the latest rumours. We know all these past ones were pretty much unfounded, but with principal shooting due to begin around May time, we are coming up for the time when we will find out who has been given the nod, and possibly which characters they will be playing. I do have to ponder the effect of all these rumours, the reasons why there are so many, and whether news websites are living up to their responsibilities with regards to them. My biggest problem with these kinds of rumours is that they can affect the actor who does finally take the job. Constant comparisons, sometimes unfavourable, can be made to a star previously named in connection to the movie. Clive Owen was persistently linked with the James Bond role, and when Daniel Craig was named instead, there was somewhat of a backlash against Craig as a result. In the end, the choice would prove beneficial to both careers. Craig has done a great job in the series, and Owen has got to play great roles in the likes of Inside Man and Children of Men. In the case of the latest rumours however, so many actresses have been named that this is less likely to be a problem. Rumours are clearly abundant because they are a part of our enjoyment in following the industry. They give us something to talk about, argue about, even fantasize about. We all like to name actors we think would be good for particular parts. For a big movie like Batman, with a huge set of fans and massive backlog of characters, there is massive demand for news tidbits and people want the latest stories as to who will be acting in the movie, whether they are likely to be accurate or not. Because of this, casting rumours, however crazy they are, are massive hit magnets for movie blogs. Just the mere mention of Batman, or any other well-loved character, in the title of a post will draw an influx of readers. This is where the responsibility part comes in. Rumours, true or not, help a website increase its readership. As news sites, it is movie blog’s responsibility to bring the latest news to their readers. Where is the point where conscientious journalism tips over into reader exploitation? I think it is fair to say the recent set of rumours from the likes of Collider and The Hollywood Reporter are well justified. With production imminent, and decisions due to be made, it is very likely that there is foundation to these stories. Neither site has posted a large volume of The Dark Knight Rises rumours that have not come to fruition, and most major sites know where to draw the line. Good job too, because if just one of these blogs made up a casting story, every other blog on the ‘net would immediately recycle it, meaning a large percentage of the web would take it as gospel. There is always going to be a high number of naive readers who will believe the news stories they read online, and this is why all news blogs have to take their positions seriously. At the end of the day, there is a place for casting rumours, we all enjoy them, and as long as they are not being fudged as an excuse to boost a site’s hit count, and that a distinction is made between news and rumour, I am happy for these stories to continue will continue to read them along with everyone else. However, with hundreds of new movie blogs popping up every day, there is an increasing danger that the system will be abused. Here’s hoping that the next generation of online journalists have the integrity to use their powers wisely. This entry was posted in Articles, News and tagged actresses, batman, batman 3, Batman Begins, casting, casting rumours, characters, christian bale, christopher nolan, dark knight, dark knight rises, film, goyer, inception, johnny depp, Joseph Gordon-Levitt, Leonardo Di Caprio, movie, news, release, riddler, rumours, sites, the dark knight rises, the riddler, tom hardy, untitled batman project. Bookmark the permalink.